Matt Lawson has served with numerous ministry volunteers since 2000. He’s been in the trenches of student ministry believing students can love Jesus with all their heart and will change the world for him. Currently he’s the Student Pastor at First Baptist Church of Woodstock, GA. I asked Matt about how he has approached this vitally important part of Student Ministry. Ben Trueblood: What is the most important thing that you want a potential leader to know when you are recruiting them? We do this in a sit down interview. Ben: What makes a great volunteer leader? Matt: One who does what I ask! (laughing) Seriously, a leader who leads according to our purpose and expectations. 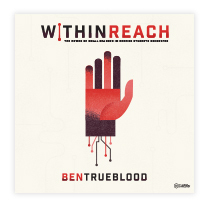 Ben: Describe the process that you take a leader through from recruitment to leading their own group in your ministry. Potential volunteers observe areas of ministry twice and are given an Observation packet that includes job descriptions, leader handbook, and leader application. Potential Volunteer Interview & application – All potential volunteers will apply and meet with one of our staff members for a 30-minute interview to help determine your area of interest, our needs, expectations, & start date. New Volunteer Start Right Training Packet — New volunteers are required to watch and complete a 4 session DVD training & complete fill in the blanks. Go Time! After the previous three steps have been completed and a background check has been passed, you will begin serving! 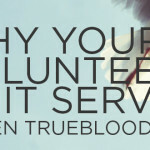 Ben: What do you require/expect of your volunteers? Matt: Every volunteer signs a covenant with 11 items that we ask them to adhere to. 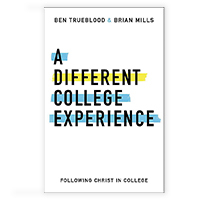 Beyond that, our expectations vary according to program but for small group leaders we expect them to Reach Students, Teach Students, and Relate to Students. 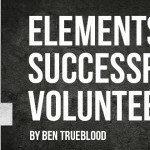 Ben: At times, unfortunately, student pastors have to remove a volunteer from service. Describe how you handle this type of situation and what issues would cause you to remove someone. Setting expectations upfront eliminates problems later. Obviously immoral actions will eliminate them and not upholding the 11 items in our covenant. There are at least 2 conversations before dismissing volunteer, each one of them reminding them about expectations. When we have dismissed leaders we have been clear why and encouraged them or helped them find another ministry that fits their time commitment/gifting. Ben: How often do you do volunteer training and what is your main goal for your training meetings? Once a month in person. Every week by email. 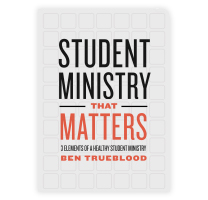 Ben: Is there anything else that you would say on the importance of volunteer leaders in student ministry? RECRUITING: Setting expectations upfront is critical for us. TRAINING: Training is critical to help leaders be WITH us not just FOR us. CARING: You can’t ever do enough Leader Care. Matt Lawson has served on staffs in small churches, large churches, and in parachurch youth ministries. He is now the Student Pastor at First Baptist Church of Woodstock, GA.